A look at five villains-turned-X-Men. 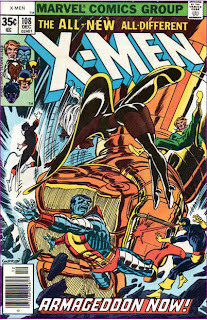 Changeling: As mentioned before, Changeling was a minor 60s villain before having a change of heart and taking Professor X's place, before ultimately dying in the line of duty. Despite being the first X-Man to die in the line of duty, Changeling's transformation from villain to hero is still fairly minor, considering it was all done behind the scenes in a retcon. 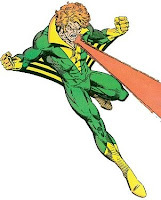 Banshee: Debuting around the same time as Changeling, Banshee was forced into a short-lived career as a villain by an exploding headband (don't ask) before joining the All New, All Different X-Men when the original team was captured by a living island (don't ask). Banshee stayed on with the team for quite a while, before he temporarily lost his powers and shacked up with Moira MacTaggert. He eventually got his powers back, and lead Generation X as co-headmaster of Xavier's School for Gifted Youngsters alongside Emma Frost. Banshee recently died unceremoniously in Ed Brubaker's Deadly Genesis series. Rogue: Often overlooked is the fact that Rogue's super-strength, invulnerability and flight powers were forcibly acquired from Ms. Marvel back when Rogue was rolling with her step-mom Mystique's Brotherhood of Evil Mutants. Rogue also single-handedly took down the Avengers before going to Xavier for help in controlling her absorption power. Reluctantly accepted by an X-Men team she had battled in the past, Rogue proved herself to be a stalwart hero and mainstay of the team (even though Xavier proved to be less than successful in his meager attempts to help her control her power). Magneto: The gradual reformation of Magneto from villain to hero was one of Chris Claremont's greatest accomplishments in his fifteen year tenure as X-Men writer. Beginning in Uncanny X-Men 150 when, following one his greater atrocities (the sinking of an attacking Russian submarine) Magneto almost killed the youngest X-Man, Kitty Pryde. Horrified by what he had almost done, Magneto began to slowly move away from his outright villainous ways. By Uncanny X-Men 200, Magneto had turned himself over to the World Court for trial (he was acquited on a technicality) and was asked by Xavier (who was leaving Earth with his alien girlfriend to receive needed medical attention) to become Headmaster of the school in his place. Taking the name Michael Xavier to pose as Professor X's cousin, he fought alongside the X-Men and mentored the New Mutants before his frustration with the continued degeneration of mutant/human relations caused him to seclude himself in Asteroid M. Seclusion was denied him, however, and he ultimately died saving the X-Men. 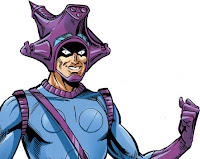 Magneto got better, of course, but when he returned he was back to his more villainous ways. Of course, he now has a leg up on Xavier, citing the fact that while Magneto has walked Xavier's path of peaceful coexistence, Xavier has never tried Magneto's way. 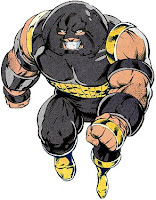 Juggernaut: Probably the villain least likely to ever become an X-Man, Juggernaut's redemption was the sole bright spot in Chuck Austen's otherwise dismal run. Tired of constantly being chased by the authorities and the seemingly never ending back forth between him and the X-Men, Juggernaut finally took up Xavier's long standing offer of sanctuary. As an X-Man he struck up a strong and ultimately tragic friendship with a young student and infiltrated a new incarnation of the Brotherhood before being carted off to the pages of New Excalibur and whatever Modern Claremont wackiness ensued therein.